“I need your help,” Taryn says. “Jude, just hear me out.” She walks in front of me, causing me to have to look at her. I glance up and then start to circle around the billowing skirts of her dress. “Locke is dead,” she blurts out. 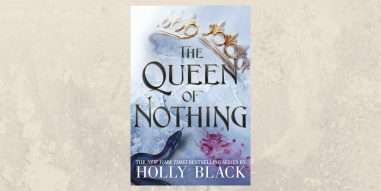 The Queen of Nothing publishes 7th January 2020.